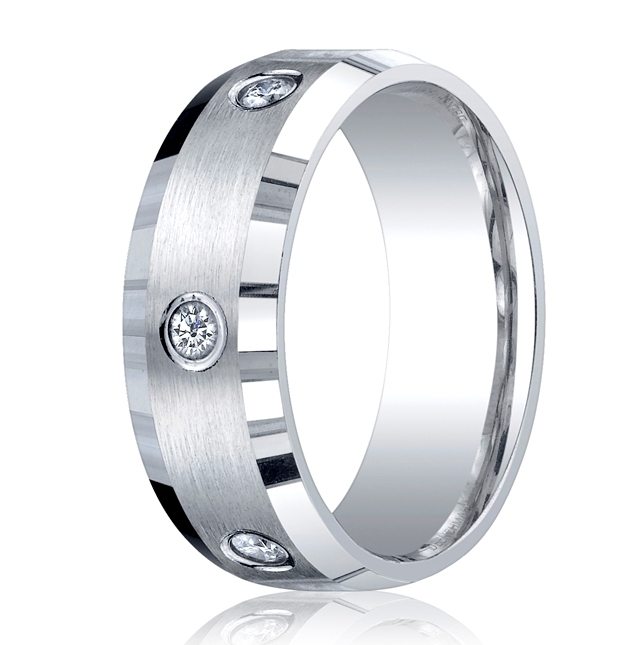 Platinum 8mm beveled bezel set diamond band with a satin-finish. 8 round cut stones along the center are surrounded by a high polished beveled edge. Total diamond carat weight is approximately .48ct.